Are you frustrated and discouraged with dieting? 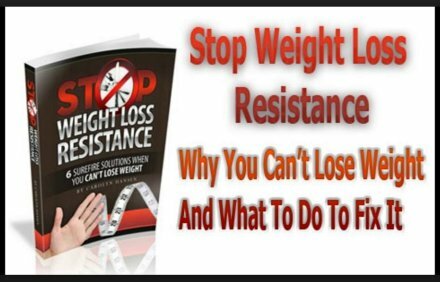 Have you reached the dreaded weight loss plateau where it doesn’t seem to matter what you do you can’t seem to budge, burn or coerce your weight down any farther? You don’t need to be discouraged any longer. There are steps you can follow that will help you to break through your weight loss plateau. First you need to understand that weight loss plateaus are to be expected as long as you are actively losing weight. Our bodies naturally resist change. Most people who eventually reach their ideal weight challenged many plateaus that lasted for several weeks along the way to their desired goals. Begin keeping a strict record of every morsel of food or drink that goes into your mouth. You might be surprised how much this puts you into conscious awareness of just how much food you’ve consumed. Underestimating is usually the issue and by keeping record no one gets “fooled”…most of all you. Keeping a “food diary” makes you aware of where you might be going wrong and allows you to consciously make adjustments that will could possibly help to avoid the weight loss plateau or even weight gain. A food diary helps to track your feelings throughout the day and how or if you responded with food when your emotions were active. You discover any eating triggers you might have and can then replace any unhealthy options with healthier foods that work to satisfy your hunger rather than your emotions. Keeping track of your food consumption also allows you to reward yourself when you have earned it…an equally important part of the equation. The only real way to break through a weight loss plateau and take off body fat is to cut calorie intake further. You can do this by burning more calories through exercise. Eat nutrient dense foods and foods that satisfy your hunger. The more satiated you feel the less hunger you feel…pretty simple. The longer your meal sticks to your ribs the less often you will feel hungry. Another tip to breaking through the weight loss plateau is to avoid any dry foods like chips, crackers, trail mix and candy bars…these are all high-fat choices and will not satiate you. You will be chronically hungry. Cut calorie containing drinks and beverages from your diet; every calorie really does count. Adding just 100 extra calories to your diet daily translates into 10 extra pounds a year. Don’t drink pre-made juice…eat the fruit instead. The idea is to feel full when you are finished snacking and you can’t do that when you put dead calories (calories that serve little in the way of converting into useful energy) into your body. Use interval training to break through weight plateaus. One or two minutes of high intensity aerobic exercise alternated with one to two minutes of low intensity exercise works to burn extra calories and break through that frustrating weight loss plateau. Be realistic. No amount of exercise will account for poor diet follow through. You cannot expect to lose weight if you are indulging in fat laden poor nutritional foods. In fact, you can expect to experience the opposite. Don’t exercise vigorously for 30 minutes and then down a bag of chips. Get in touch with your stomach and know your body’s signals. Recognize when your hunger is being driven by anxiety, stress, boredom or even the time of day. Remember if restructuring our bodies into our dream bodies were that easy then everyone would be in perfect shape and we all know that is just not true. Only takes 1 minutes to discover how you fare on the “Weight Loss Resistance Scale”.